My personal journey on the Path2Proficiency began when I was a teenager. I had the opportunity to learn languages in several very different settings. I started learning French in junior high school using the Audiolingual Method (yes, I know, it was a long time ago). We never saw a word written in French for at least six weeks, but I longed for visual cues, so I tried to take notes on a single sheet of notebook paper (Como talley voo?). The next year (age 12) I signed up for an “Aural-Oral” course at the University of Washington Language Learning Center to learn Modern Greek. I spent several months on Tuesday evenings with a reel-to-reel tape recorder learning to pronounce Greek, understand some words and phrases, and (fortunately) how to write the alphabet and decode words in Greek. I guess I wasn’t close to proficient in either language, and I knew it. When I was 16, I headed to Europe with a group of dancers and musicians to travel to the Balkans and become immersed in the language and culture. And immersed I was. My French came in very handy a few times (though more people spoke German), and my Greek helped me learn to read Serbian, Macedonian, and Bulgarian Cyrillic a little faster. Living and traveling in a country gives you ample opportunities to learn critical phrases, like “Ima vreme,” which means roughly, “There’s still time, no rush, all things in due time, slow down and smell the roses” and “Nema problema,” which is pretty much what it looks like, “No problem,” and generally means that there’s probably lots of problems but “Ima vreme” to figure them out. After our group’s trip, I went back to Macedonia and stayed with a family for another five months. That was real immersion. Few people I met could speak English (or even French), but they had the time to be sympathetic conversationalists. When people met me, they’d ask if I could speak Macedonian, and I’d say “I’m learning to speak Macedonian,” and they’d say “You will learn it (in the sense of learn it thoroughly or ‘master’ it).” That was my first lesson in the Slavic grammatical concept of aspect (imperfective vs. perfective). The next fall I entered the University of Washington. I thought maybe I’d study French, but when the advisor heard that I’d learned to speak Macedonian (well, more or less…) he said I belonged in the Slavic Department, so that was the beginning of my career with Russian. I remember our textbook (still Audiolingual method, although we did get access to written texts at least). It assumed that students could not learn to pronounce Russian correctly unless they had access to the phonetic transcription. (A lot of students, I think, did not even learn to read Cyrillic because they became dependent on the transcription.) I remember reading words that looked like “vsego” and were pronounced “fsivo.” In Spring quarter of my freshman year, this thing called the Student Strike (Kent State… 1970) happened. Our Russian instructor was strongly in support of it, so she canceled regular classes, but she agreed to meet once a week if we’d conduct the class entirely in Russian and talk about current events. I probably learned more from those 10 hours than I would have learned from the 40 hours of class that we skipped. A couple of years later, after I studied Romanian, spent a year in Macedonia and Romania and back in Leningrad for the semester program, I eventually entered graduate school and had a chance to be a Teaching Assistant for Russian. 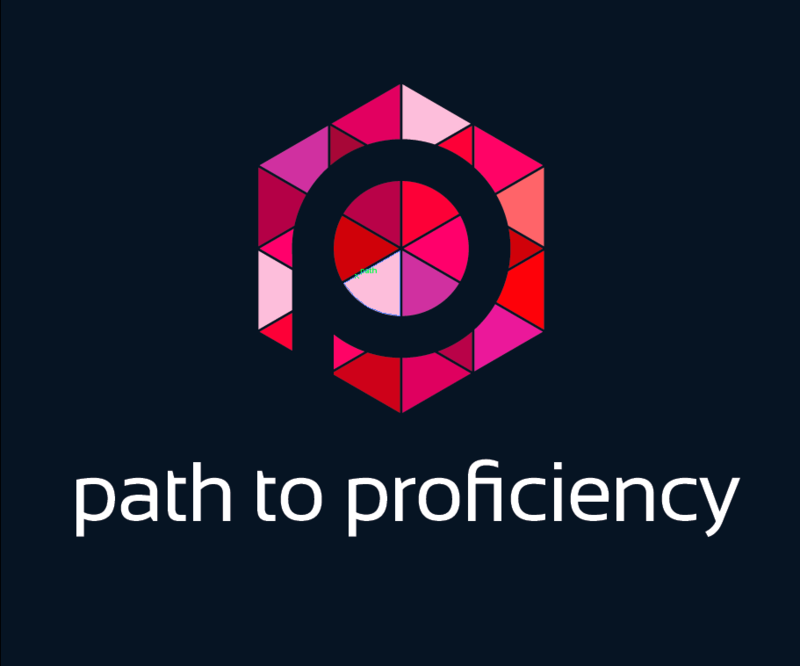 I could say that all my personal experiences on the Path2Proficiency flooded over me, and I committed to creating a powerful language learning environment for my students. I spoke only Russian in class (although I did not even know what ACTFL was or the 90% goal in target language). I did everything I could to provide comprehensible input (long before I heard of Krashen). I listened to my students, encouraged them, taught them to read in Russian (Cyrillic, not transcription) during the first week, and tried to get them genuinely engaged in the language and culture. My career has taken me in many directions since that time, but for the past twenty years I’ve had the great fortune of working with many teachers and administrators to plan and implement Dual Language Immersion and World Language programs. I’ve become particularly fond of working with Heritage Language speakers of Russian and other languages. So, now I’m trying to help others on their Path2Proficiency. Because I’ve coordinated our state and district testing for Competency-Based Credits and the Seal of Biliteracy, I’ve spent hours proctoring language proficiency testing and reviewing and summarizing test results in more than fifty languages. I can see the difference between students who are confident of their language skills and those who doubt themselves (and that includes, I’m sorry to say, a lot of Heritage Language speakers). The beautiful thing about this work is that I never have to think about assigning “grades” in the usual classroom sense. Students receive ratings on the ACTFL proficiency scale. If their Writing is lower than other skills, I can encourage them to go do some more writing in their language, then come back and test again. Many of these are students who have had little formal instruction in their language. But if they are Heritage speakers, they may have become sensitive to criticism from native speaker parents and adults who assume they should be more “native like” in their mastery of the language. It is a challenge to get everyone more oriented to recognizing what the students CAN do in the language. I also work extensively with Dual Language Immersion programs. In elementary school, there is a level of freedom to let the language develop “naturally” unhindered by grades because the graded subjects are the content areas like Math, Science, and Social Studies. I see students taking risks (and, yes, making mistakes) but they internalize the language, a lot like I did when I was a teenager in Macedonia. It can be messy, but very rewarding. Some students develop great proficiency, not only in listening and speaking, but also in reading and writing. But then they hit middle and high school. In some of our programs that means encountering traditional “foreign” language teaching (like I experienced when I started studying Russian at the university). It can be a shock to move from owning your language proficiency development to trying to fit into a method of learning that someone else (the teacher or the textbook) has prescribed for you. I see students getting bored, discouraged, and sometimes giving up. It breaks my heart. So, I continue relentlessly to provide our language teachers with more professional development on proficiency and the Path2Proficiency. Those that “get” it transform their teaching and their students soar. Dear Michele, Dr. Aoki, what a beautifully written post. I love what you wrote about students “owning their proficiency.” Before taking Startalk-endorsed courses, I always felt that students should be the agents of their own learning; however, I had not yet learned the principles of backwards design. Thanks to you and to Startalk, I was able to learn so much and now I can say with confidence that I am in a position to let my students not only own, but also assess, their own proficiency. Your work is inspiring and I am so proud to work with you. Thanks Michele! I just tweeted this out to my language learning community and hope to paraphrase some of this to our parents at Open House on Thursday evening. Sounds like a pretty fascinating and rewarding journey you’ve had so far! Thanks for your advocacy and commitment! Great essay – thanks for sharing Michele!